I've been trying to look for the handlebar piece but it doesn't show up. Can someone tell me why? In your LEGO program or webpage type in the part number instead, which would be, "30031". Why: Search words vary across media, and it's harder to misspell or mis-describe numbers. On Bricklink.com the description includes the "s" to spell handlebars. 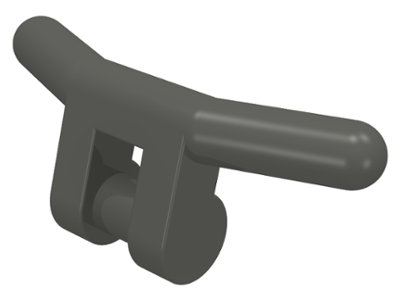 In LEGO Digital Draw the description just calls this piece a "handle" and drops the "bars". Search fields can get finicky.